Sunday’s rescheduled Copa Libertadores final second leg between Boca Juniors and River Plate has been postponed. 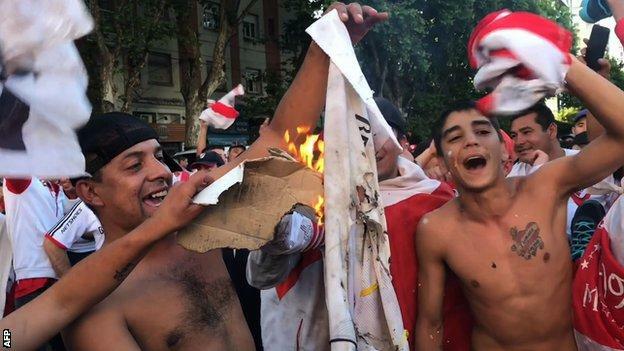 Violence had forced the match between the bitter Argentine rivals to first be delayed on Saturday. The Boca Juniors team bus was attacked by River Plate fans on its way to the game at River’s Estadio Monumental. The game was rearranged for Sunday at 20:00 GMT, 24 hours later than planned, but was postponed three hours before the new kick-off time. A decision on whether the match will be rearranged for another date has yet to be announced. Boca, who were held to a 2-2 draw in the first leg, had urged South American football’s governing body Conmebol to take action and allow those affected by Saturday’s incidents to recover further. “Club Atletico Boca Juniors made a formal presentation to Conmebol on Sunday to request that the final of the Copa Libertadores be played in conditions of equality,” said a club statement. Boca players suffered cuts from the glass from broken windows on Saturday and were also affected by the tear gas used by police to disperse the crowds. 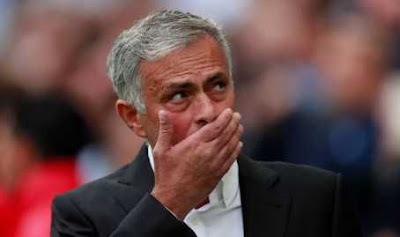 Footage, apparently from inside the Boca dressing room, showed the players groggy and disorientated. Reports said Boca’s Pablo Perez and Gonzalo Lamardo had been taken by ambulance to hospital, the former with slivers of broken glass in his eyes and the latter a cut on his head. 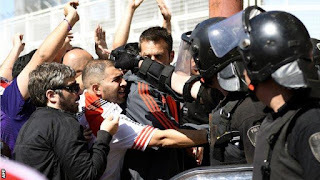 Three years ago, a last-16 Copa tie between River and Boca at the latter’s La Bombonera ground was abandoned at half-time after Boca fans attacked the River players with pepper spray in the tunnel.